Expertly crafted. Superior in genius - CBD EX combines the most effective cancer and immune regulating clinically tested components into one simple supplement. Contains: Coriolus Versicolor. Curcumin Extract. Over 30 Terpene Rich isolates. Trace THC for absorption. Our extraction and purification process uses a proprietary sub infrared patented technology that preserves all the phytocannabinoids, terpenes and plant lipids, while eliminating unwanted waxes and chlorophyll. A rigorous testing scheme is followed to ensure that the critical attributes; taste, color, potency, and purity consistently meet patient requirements for making finished products. The most effective innovation in cancer and immune related proactive supplement support in the past ten years. CBD-EX combines the best in cancer fighting elements, into one simple capsule. Containing clinically tested ingredients, CBD-EX is a dynamic force in anti inflammation protocols, targeting manipulated cells while working to protect healthy ones. Formulated containing Coriolus Versicolor Mushroom, CBD-EX seeks to inhibit the spread of mutated malignant cells, directly attacking the problem. Our CBD extract contains over 30 different types of terpenes, beneficial in preserving cell structure, while at the same time reducing systemic inflammation. Our PCR Rich cannabinoid extract seeks to mitigate the spread of cancer cells, focusing on cell mitosis reduction and the influence on neighbor cells. Beneficial for both medical and natural regimes, CBD-EX is chemotherapy and radiation supportive. For best results, take in combination with our Cleanse enzyme (to cut the food and oxygen supply cancer cells need to grow and thrive). How water extracted, our CBD-EX formulation contains beta-glucan polysaccharides from Coriolus Versicolor Mushroom (Turkey Tail) known to help modulate and stimulate the immune system. Coriolus contains two specific polysaccharides, PSK and PSP, that have been clinical studied and shown effective in regards to inhibiting the growth of cancerous cells. 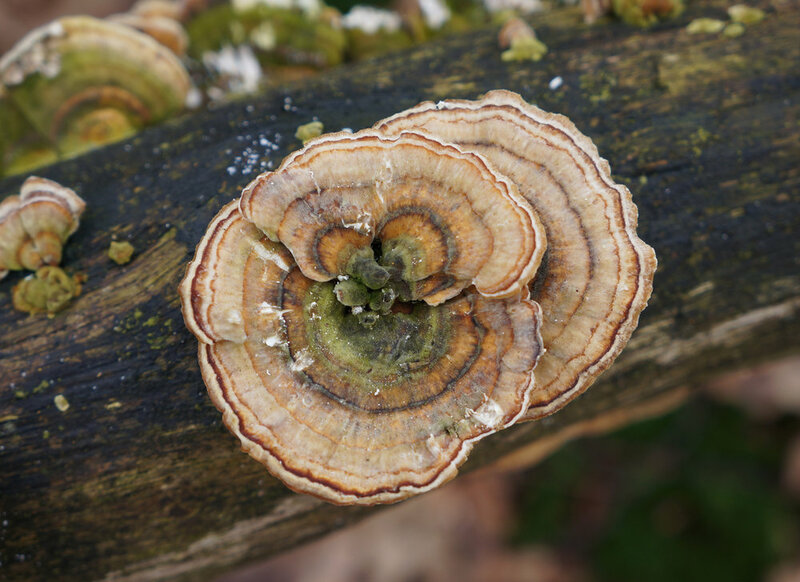 Polysaccharide-K (PSK or krestin), found in the Trametes versicolor mushroom species has been directly linked to anti-tumor activity particularly in stomach, esophageal, lung and breast cancers. Clinically tested - curcumin has been examined and studied in a number of laboratory sets, and proven to be effective when combating cancer cells. In petrie dish studies, it has been able to kill cancer cells, as well as prevent additional cells from growing. The most proven results have come in patients fighting against breast cancer, stomach cancer, and skin cancer cells. Effective in regards to animal cancer as well Curcumin is an effective inflammation reducing compound, safe for both cats and dogs. Containing beta gluten and PCR hemp with active CBD, CBD-EX is widely used for individuals trying to combat cancer and support therapeutic regimes. Safe for both people and animals, EX can be the difference. Packaged into a time release vegetable capsule, CBD-EX can assist in helping people and animals struggling with IBD, decreasing inflammation in the gastro intestinal tract and pancreas. Formulated containing Curcumin extract, CBD-EX combines active CBD with inflammation reducing Curcumin. Potent in formulation, CBD-EX provides on site support. Compounded with hot water extracted beta glucan, CBD-EX can assist in fighting against histamine responsive cancers, working to decrease systemic inflammation. Works to reduce cell manipulation and histamine causing reactions, stimulating intensive care support. Proactive on the cellular level, CBD RX reduces inflammation caused by active cancer cells. The best in formulation, Cleanse digests undigestible material, decreasing the food source directed to cancer cells.